In which we consider the fortunes of the first-born child of John Backler, cupper, and his wife Susanna Maria (nee McLauchlan). Of young Susannah’s early years in exile in Paris, we know nothing. But from her marriage in 1841 to Charles Raoux in Paris, we can follow her fortunes for the next 60 years during which she appeared to do very well indeed! Susannah Maria McLauchlan Backler, named after her mother, was born on 21 January 1822 and christened in Christchurch Southwark on 18 August 1822. At that time her father was rather in disgrace in Paris, and it is not clear whether or not he attended her christening. First Marriage – to Charles RAOUX: Our next sighting of Susannah is the marriage of ‘Marie Suzaune’ Backler, daughter of John and ‘Marie Suzaune Auclan’ to Charles RAOUX in Paris on 11 December 1841. I can find no information about Charles other than the names of his parents, Jean Raoux and Marie Henriette Delorme, and there is no online record of his death before 1851. Susanna Maria’s father John died in Paris in 1846, and presumably her husband Charles died before 1851, since she appeared as a widow in the census of that year, in the home of her future husband, the wealthy merchant William GOTT of Leeds. Second marriage (twice?) – to wealthy merchant William GOTT. The 1851 census was taken on 30 March 1851. It shows William Gott, 53, widower, woollen cloth merchant, living at Denison Hall, Hanover Square, Leeds, with 5 of his children, and Susannah Maria Raoux, visitor, widow, 29, born France – and innumerable servants. This was rather distinguished company for Susannah Maria, the Gott family being one of the most prominent families in Leeds. Four months later, Susannah was married to William at St Mark’s Kennington (pictured right, see note 1) on 28 July 1851. Her brother Henry McLauchlan Backler – of whom we will learn much more in a later blog – had married there in 1846. It seems possible that the marriage there was linked to his residence nearby. I rode my motor bike past this church every day for many years en route to work in central London. It is an imposing building near the Oval tube station. Margaret Gott, 38; Ann Gott, 32; Harriet C Gott, 20; all ‘daughter’ [in reality, step daughter] born Leeds, Yorkshire. Ethel M, Annie B, Maud M Gott, granddaughters, 4, 2, 3 months. Born St George Hanover Square except Maud, born Surrey, Richmond. The third son [of Benjamin Gott], William (1797-1863), of Wyther Grange, inherited his father’s taste for fine art. He also built up a magnificent collection of rare books, now, unfortunately,dispersed, which included several early editions of the Bible, liturgies, and Shakespeare’s works. His papers include over 100 letters from art dealers (Dominic Colnaghi, John Sheepshanks), booksellers (Boone, Pickering), and book-collectors (Francis Fry). William Gott was active in encouraging public building in Leeds. He was the Chairman of the Building Committee when the extension to the Philosophical Hall was built, in 1861-62. About 20 letters from him to T P Teale, the Leeds surgeon, concern the planning and building of the new Leeds Infirmary in 1862 -63. He married Margaret Ewart (1795 -1844), daughter of the Liverpool merchant, William Ewart the elder (1763 -1823). Harriet Gott (1795 -1883), who endowed almshouses at Armley, was William Gott’s unmarried sister. 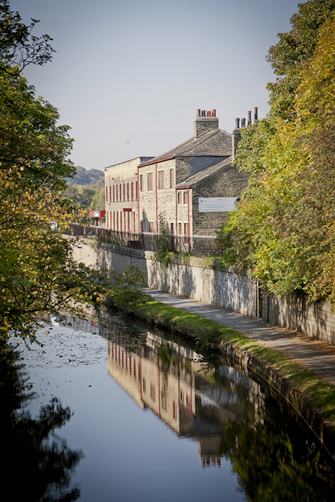 Armley Mills Industrial Museum: Benjamin Gott and his sons were proprietors of what was once the largest woollen mill in Europe – Armley Mills. The building now houses the Leeds Industrial Museum [note 3]. William is buried in the lavish family vault in Armley Church, his extensive ‘Gott Collection’ now featuring until Spring 2015 at the Hepworth, Wakefield. Susannah did rather well from the provisions of his Will. Amidst very many pages of legalese, it is possible to discern that the leases of the properties at Bay Fort and in Wyther were to be left in Trust for her use and that of his unmarried daughters, for their natural lives or until they married. Susannah was to have £500 at once, and the income from £12,000 to be invested by the Executors, this income to continue to be for her absolute use even if she married again. His effects were said to be ‘under £140,000’ – by far the most of anyone mentioned, through marriage or any other means, in my family tree! Third marriage – to Anthony HUXTABLE, a wealthy Churchman and agriculturist: The 1871 Census finds widowed (again) Susannah living at Bay Fort with her step daughter Margaret Gott, 48; step grand-daughter Mabel Elizabeth Smyth, 9; and five servants. Conveniently living next door, in ‘Hawthornden’, were Anthony Huxtable, Head, 63, Archdeacon and Rector in Dorset, with his 73 year old (very wealthy) wife Maria Sarah Huxtable, 73. They were looked after by eleven servants. 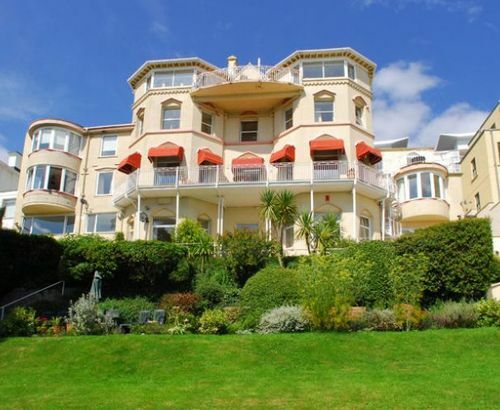 Both houses sat on the cliff tops overlooking Torbay. Maria Sarah Huxtable died in an accident involving the lift at Hawthornden, and was buried on 8 May 1874 at Sutton Waldron, Dorset, paving the way for Susannah’s next marriage to Anthony HUXTABLE on 2 November 1875 at St James’ Piccadilly. The ceremony was conducted by John Gott, D.D., William Gott’s son; one of the witnesses was Robert Nairne, son-in-law and executor to William Gott’s will. It seems highly possible that Susannah’s brother Henry McLauchlan Backler and his wife Eliza might have attended this wedding. The 1881 Census finds the couple in retirement at 35 Warrior Square, St Leonards on Sea, Sussex – just them with 4 servants plus a Butler and a Page. The Warrior Square houses are some 5 stories high plus a basement. But their married life was relatively short-lived. The Will of the Venerable Anthony Huxtable late of Sutton Waldron in the County of Dorset Clerk formerly Archdeacon who died 12 December 1883 at St Leonards on Sea in the County of Sussex was proved at the Principle Registry by Susannah Maria Huxtable Widow the Relict and the Reverend Samuel Penrose Downing Clerk, both of Sutton Waldron and Henry McLauchlan Backler of 11 Austin-Friars in the City of London. Effects £88,714 14s 1d. Inscribed in the burial register of St Bartholomew Church, Sutton Waldron, Dorset is the following: ‘Anthony Huxtable was rector of this parish from 1834 to 1871 – was appointed Archdeacon of Dorset in 1862 but retained the office only one year. He married Miss Langston daughter of the late Mr Langston of Sarsden, Oxon in 1840. 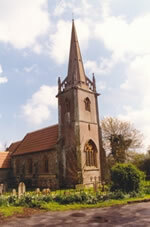 The church of this Parish was built by them (the old one being very dilapidated) and was consecrated in 1848′. As well as his church-building project, he was an agricultural pioneer and was said to have worked tirelessly to improve the lot of his parishioners. He researched and tried to put into practice new uses for manure, devising systems for collecting and using the manure from his pigs. His lecture on The Science and Application of Manure, in 1847, apparently went through many editions. He was a member of the Chemical Committee of the Royal Agricultural Society. The wealthy widow lives til 1901: Susannah Maria did very well by the provisions of Anthony Huxtable’s Will. In 1891 we find her living on her own at The Birches, Ashbourne, Lawrie Park Gardens, Sydenham, in southeast London, with 7 servants, including a butler and a page, a single young woman companion, and the coachman with his large family living next door in Ashbourne Stables. This wasn’t all that far from her two sisters, Sarah Knowles and Sophia Beaumont, who were living in Winbledon at the time. Yet, with the exception of the clear links with her brother Henry, there is no sign that she was in touch with them – or, indeed – favoured them with any spoils of her Will when she died in 1901! The total value of her estate was in excess of £56,000. 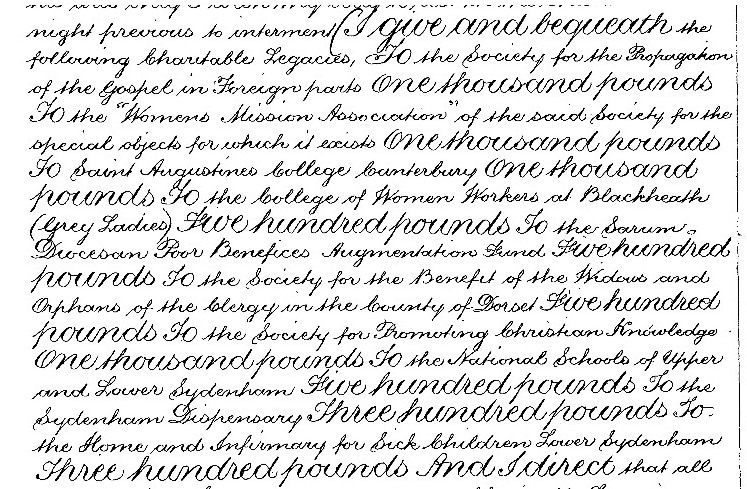 Generous legacies went to numerous church charities, including the Society for the Propagation of the Gospel in Foreign Lands and its Women’s Mission Association; St Augustine College Canterbury; the College of Women Workers at Blackheath [The great aim of the Greyladies’ College is to bring together lonely women working in isolation without a definite plan, and also women who are possibly daughters in a large family and find it difficult to separate themselves from social distraction in order to follow religious and philanthropic work. It becomes a great happiness to such to be associated with people who are trying to make the world better. Many women emerge through such association from a life of narrowness and emptiness into one of breadth and satisfaction. The college (founded in 1893) is described as a society of ladies living together for the purpose of helping in the work of the Church of England under the incumbents of the diocese. The bishop of the diocese has ultimate control over all its affairs. The Greyladies work in twenty-two parishes in South London. [See Note 4]]; other church charities and then locally, two local National Schools and the local Infirmary for Sick Children. There were legacies to godchildren; to her late husband’s Huxtable relatives; to various friends and servants. Of her blood relatives, the only mention was a legacy of £1,000 to her late brother’s wife Eliza [nee Cole] Backler. No mention of her sisters, and no mention of more distant – and much less well off – Backler cousins and half cousins. Which perhaps makes sense, since Susannah’s great wealth was entirely due to the inheritances she had received from her two very wealthy husbands. There are no further generations of Backler cousins descended from Susannah, so we will leave her interred next to her last husband, the Venerable Archdeacon Anthony Huxtable by the church which he had built using his first wife’s wealth, and said by Sir John Betjeman to be ‘one of the best and most lovely examples of Victorian architecture’ – St Bartholomew’s Church, Sutton Waldron, Dorset [note 5].